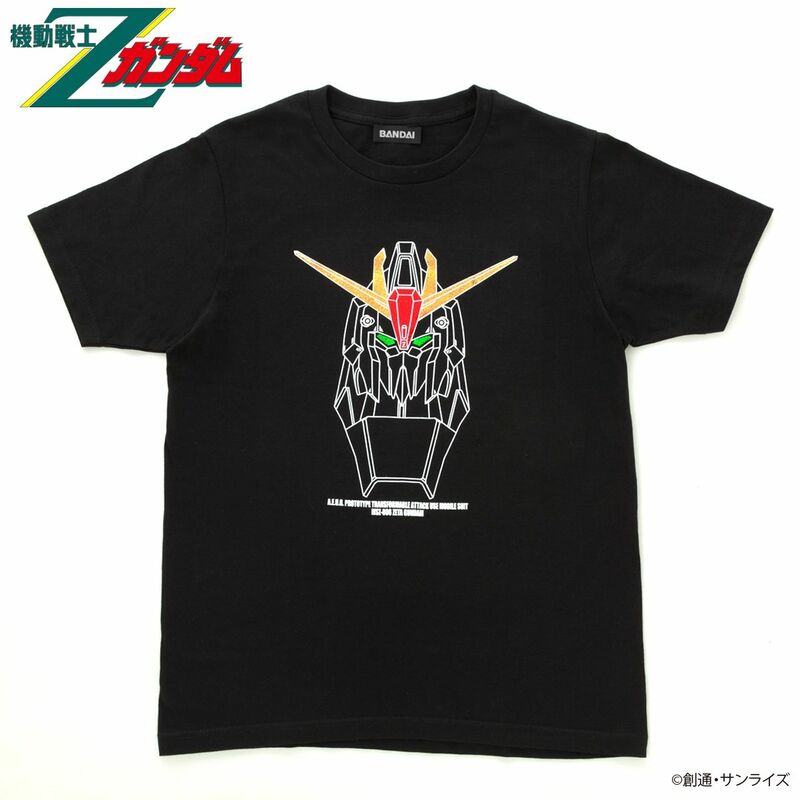 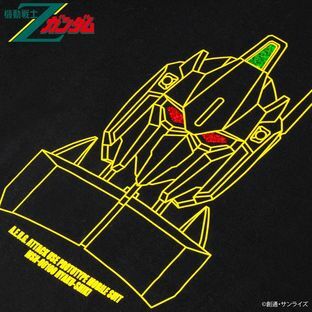 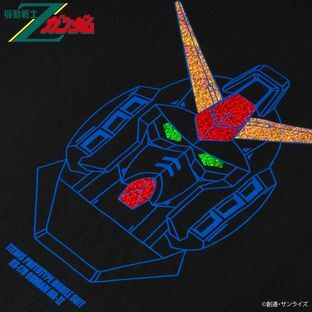 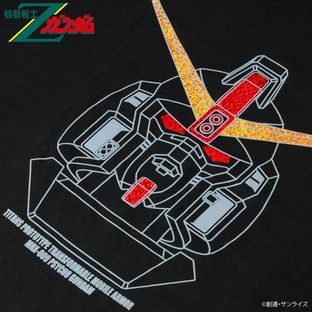 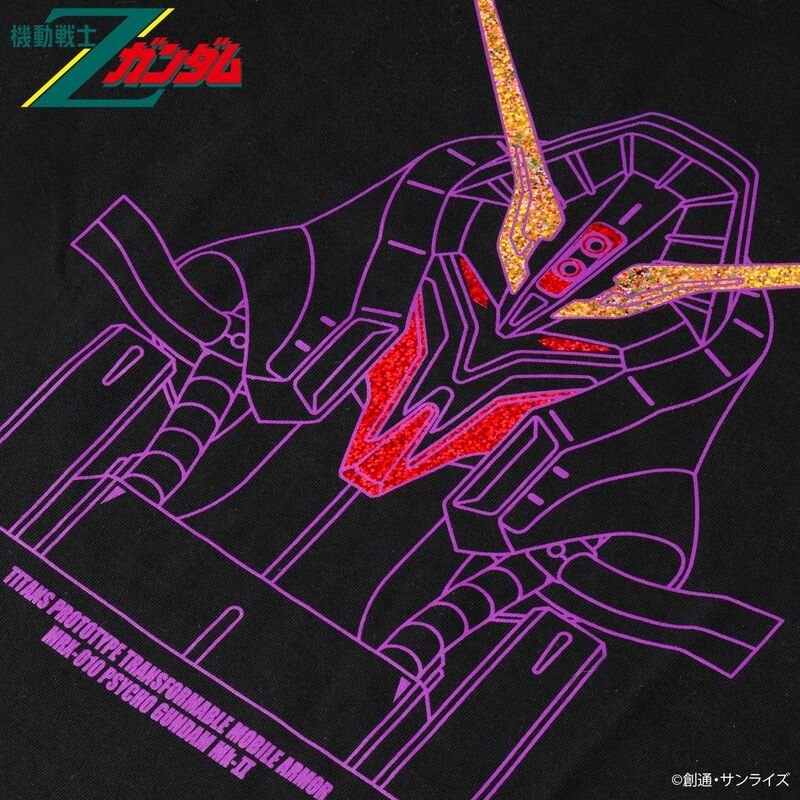 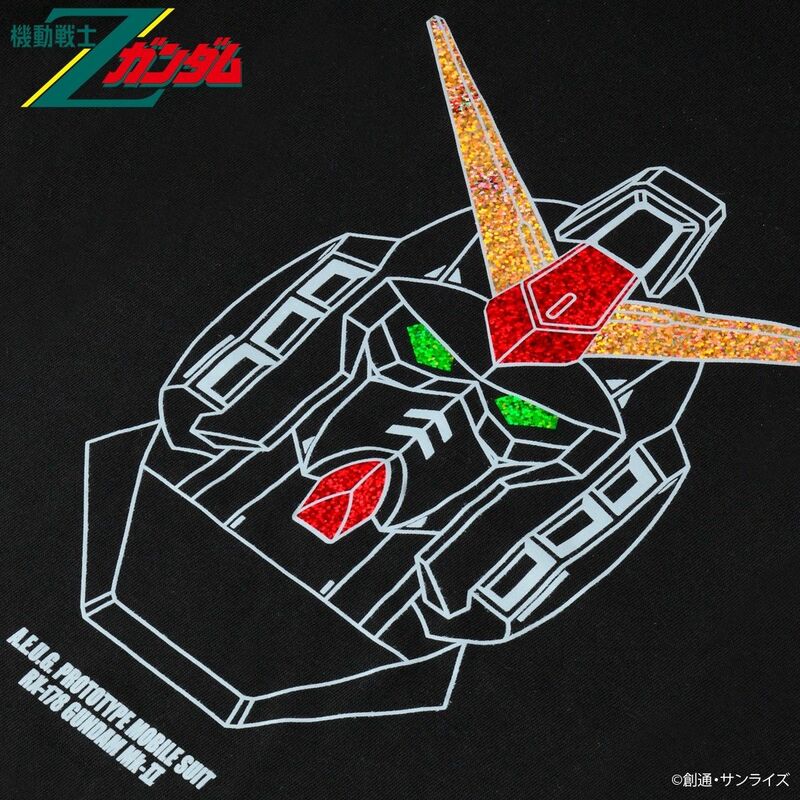 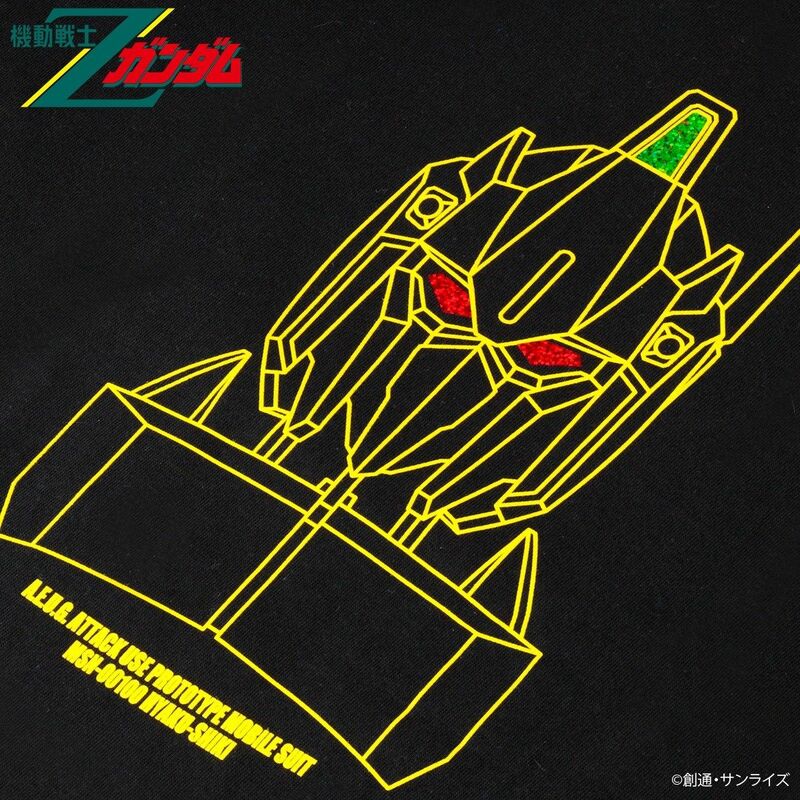 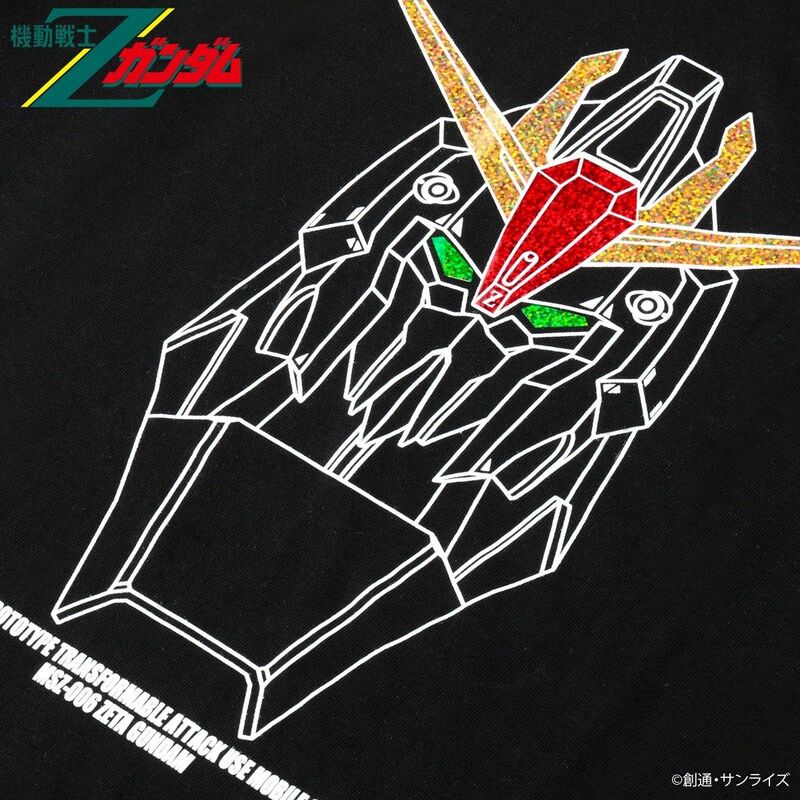 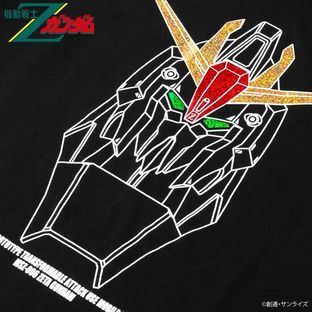 This is the Mobile Suit Gundam Z Hologram T-shirt. 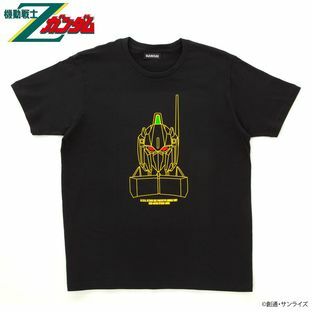 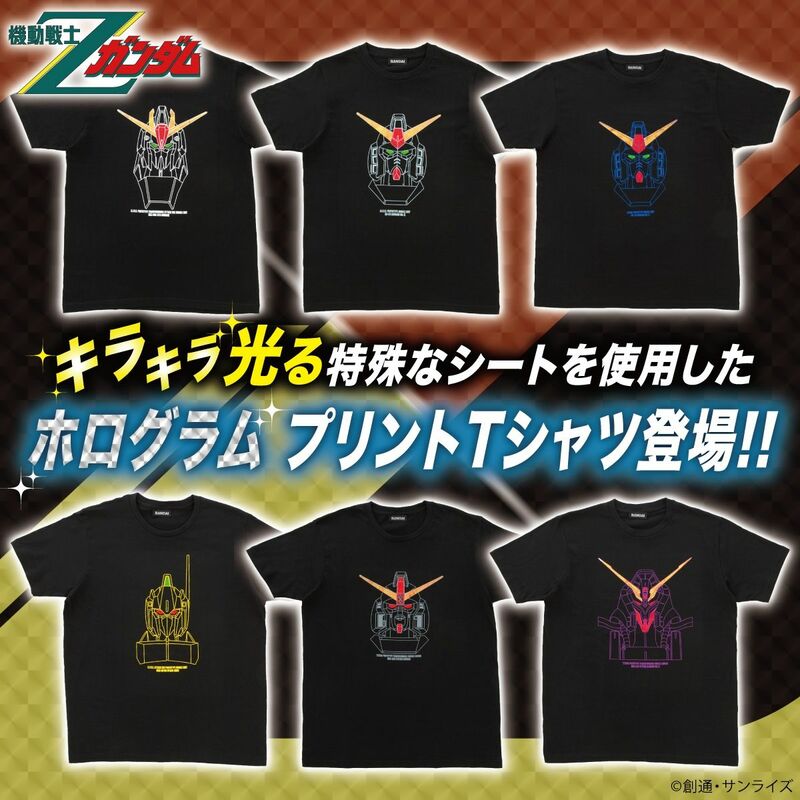 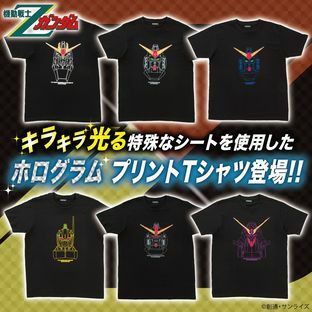 After the release of the Mobile Suit Gundam Hologram T-shirt, new series "Mobile Suit Gundam Z"is now on sale. We use a special hologram sheet to print out part of the pattern on the T-shirt to make it sparkle.